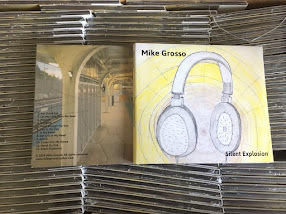 Mike Grosso: Anything You Might've Missed From World Read Aloud! Anything You Might've Missed From World Read Aloud! Hey everyone! I had a blast Skyping with classrooms all over the country this past Thursday for World Read Aloud 2018. Thank you to all the teachers and librarians who invited my virtual self into their classrooms. Since every Skype is a little different, I wanted to post anything individual classrooms might've missed due to time constraints and technical difficulties. Below are four videos of things I included in my Skypes -- me reading from I AM DRUMS, reading from a brand new book that is yet to be published, playing drums, and playing guitar. If your students missed any of the moments below, please feel free to share with them however you'd like.